L.G.R. Spring/Summer 2013 Eyewear Collection | Definitive Touch - Men's Contemporary Style. Italian eyewear label L.G.R. presents a Spring/Summer 2013 collection consisting of four smarty, stylish silhouettes. The ‘Lagos’ and ‘Nile’ models feature acetate frames that create a distinct impression without being too substantial as to overburden one’s facial features. We see a similar take with the ‘Tiko’ model as well, which features a face-flattering and stylish keyhole bridge. The last, the ‘October’, features a vintage curved frame accented by polarized neophan vermillion lenses. For more information on how to purchase a pair of L.G.R. 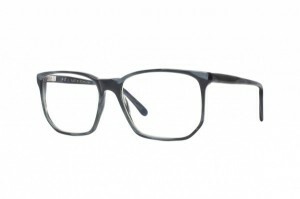 frames, check out the L.G.R. website.